The founder, Eric LeVine, who developed and maintains this community platform along with his brilliant team, are to be commended. They have built a full web version as well as a downloadable app for your tablet and smartphone. The cost to use CT is a voluntary donation based on the size of your cellar. For example, for up to 499 bottles, a mere $40 per year is recommended. It is well worth every penny. Here is a brief summary of the awesome features of CT.
Just bought some wine? CT can help you log that with minimal data entry. A barcode reader in the app enables you to use your smartphone to scan the barcode, then simply add it with the click of a button. Voila! All the vital stats of that wine get logged into your cellar. Alternatively, you can even take a picture of the label if it is one of those pesky bottles without a barcode. And, this feature works even if you want to just look up the wine without adding it to your cellar. So, what’s it going to be tonight? Tart, sweet, spicy, or bold? Let CT help direct you to the right one. This is probably the most practical feature of CT. Once your cellar has been logged, CT lets you browse your cellar by varietal, region, or vintage to quickly display what’s in your cellar according to the parameters you choose. It also offers recommendations on when to drink or hold each selection. You’re at a local retailer, or maybe even a winery, and wondering what you need to add to your cellar. Last time I checked, most everyone I know always has their smartphone on them. That said, you have 24/7 access to view your cellar. Never be caught again serving salmon for a dinner party and only having heavy Cabs in your cellar. Embarrassing! 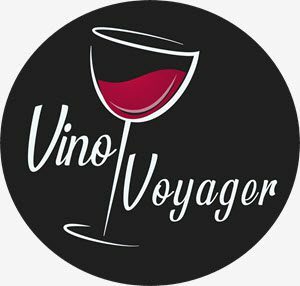 Being a community driven site, other CTers often post reviews (and prices paid) of the wines they consume out of their cellars. So, if you are someone that likes to know what others think, you can use that barcode scanner to pull up the wine and read posted reviews. If the bottle in your hand got thumbs down, move along. Let CT be your memory bank. Every time you consume a bottle in CT, it automatically captures the date, and lets you identify other cool optional details, like where you drank it, what rating you’d give it, and tasting notes. Later, you can easily review your consumed wines and notes to spark your memory on what you liked, why, and where you bought it. Believe me, capturing these details is worth it. You will thank CT — and yourself — later. Drank a wine you loved at a restaurant or party but afraid you’ll forget it. No problem. Simply scan the bottle or take a pic and add to your wish list in CT. It keeps track of everything you love but don’t yet have in your cellar so you can track it down later. CT offers all kinds of reports that let you easily select a printable format or export the information to Excel in case you need a printed back-up copy for offline reference. Electricity goes out? Piece o’ cake. Light some candles and pick a bottle off the list.